As a significant performance venue of many major social-economic-environment problems, as well as its complexity of resource mobilization and influence, city is a core carrier to promote and implement regional man-land relationship optimization, especially for the resource-intensive re-gion. The rapid development of social economic and the improved level of urbanization need a lot of energy as the basis of security. 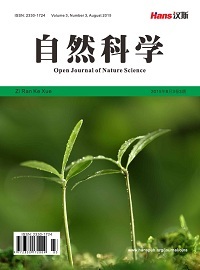 This study takes the typical resource-based region Shanxi Province as the research target, uses comprehensive integrated principal component analysis and multivariate path analysis model, and analyzes the impact of energy consumption in the process of urbanization in Shanxi during 1978-2014. The main characteristics of energy consumption in the process of urbanization in Shanxi are: 1) The correlation coefficient between urbanization rate and energy consumption is 0.985, which is very close, but the direct impact is only 0.109; the indirect effect is as high as 0.876, so that the energy consumption of Shanxi Province is influenced by other factors as “intermediary”, and the indirect effect is far greater than the direct effect. 2) Urban residents’ disposable income had the most direct impact on energy consumption, and changes in the same direction. 3) The highest indirect effects among these factors are the civilian car own-ership, and its positive indirect effect (1.893) is nearly twice to the negative direct effect (−0.976), and the transportation connects all aspects of our life, the increasing of vehicles which impact other factors indirectly leads to an increase of energy consumption. Urban residents’ disposable income and Civilian car ownership play the unusual intermediary role, and through these two factors others’ indirect influence and opportunities are greater. 马世骏, 王如松. 社会-经济-自然复合生态系统[J]. 生态学报, 1984, 4(1): 1-9. 诸大建. 重构城市可持续发展理论模型——自然资本新经济与中国发展C模式[J]. 探索与争鸣, 2015(6): 18-21. 陆大道. 中速增长: 中国经济的可持续发展[J]. 地理科学, 2015, 35(10): 1207-1219. 张松. 短缺还是过剩——有关中国城市化问题的探讨[J]. 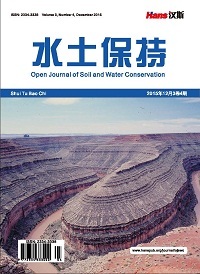 城市规划学刊, 2011(1): 8-17. 王超, 蒋瑛. 城市化对中国能源消费效应的作用和机制[J]. 甘肃社会科学, 2016(1): 80-83. Hiroyuki, I.M.A.I. (1997) The Effect of Urbanization on Energy Consumption. The Journal of Population Problem, 53, 43-49. Ewing, R. and Rong, F. (2008) The Impact of Urban form on US Residential Energy Use. Housing Policy Debate, 19, 1-30. 张晓平. 20世纪90年度以来中国能源消费的时空格局及其影响因素[J]. 中国人口资源与环境, 2005, 15(2): 38-41. 刘耀彬. 中国城市化与能源消费关系的动态计量分析[J]. 财经研究, 2007, 33(11): 72-81. 张奋平. 灰色关联视角下的旅游产业结构优化研究——以山西地区为例[J]. 科技创新与生产力, 2015(10): 31-33. 王闰平, 陈凯. 资源富集地区经济贫困的成因与对策研究——以山西省为例[J]. 资源科学, 2006, 28(4): 158-165. 吴启红, 万世明, 彭文祥. 一种多层采空区群稳定性的综合评价法[J]. 中南大学学报: 自然科学版, 2012, 43(6): 2324-2330. 徐建华. 现代地理学中的数学方法[M]. 北京: 高等教育出版社, 1994. 张宝成, 曹军骥, 白艳芬, 等. 环境变化对青海湖天然草场牧草产量的影响[J]. 干旱区资源与环境, 2010, 24(7): 134-137. Tega, Y. and Honda, M. (1979) Variables Selections in Regression Estimation. Recent Developments in Statistical Inference and Data Analysis. International Conference in Statistics, Tokyo, 182-184. 韦素琼, 陈健飞. 闽台建设用地变化与工业化耦合的对比分析[J]. 地理研究, 2006, 25(1): 87-95. 李雪梅, 张飞云, 尚明, 等. 天山南北坡气象因子对出山口径流影响通径分析——以开都河和玛纳斯河流域为例[J]. 资源科学, 2012, 34(4): 652-659. 罗振堂, 郭连云, 谢卫东. 三江源区高寒草地牧草产量主要影响因子分析[J]. 干旱区资源与环境, 2011, 25(6): 122-126. 宋戈, 王越, 雷国平. 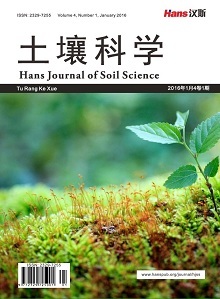 松嫩高平原黑土区耕地利用系统安全影响因子作用机理研究——以黑龙江省巴彦县为例[J]. 自然资源学报, 2014(1): 13-26. 倪超, 雷国平. 黑龙江省粮食产量变化及驱动因素分析[J]. 干旱区资源与环境, 2013, 27(5): 14-19. 鲁春阳, 文枫, 杨庆媛. 城市土地利用结构影响因素的通径分析——以重庆市为例[J]. 地理科学, 2012, 32(8): 936-943. 邴华琳, 胡德宝, 邢万里, 等. 我国城市化对能源消费的影响浅析[J]. 中国矿业, 2014(6): 37-43. 梁进社, 洪丽璇, 蔡建明. 中国城市化进程中的能源消费增长——基于分解的1985-2006年间时序比较[J]. 自然资源学报, 2009(1): 20-29. 文军. 回到“人”的城市化:城市化的战略转型与意义重建[J]. 探索与争鸣, 2013(1): 57-60. 姜巍, 高卫东. 中国能源消费增长特征及影响因素分析[J]. 世界地理研究, 2013(3): 160-168. 宋长鸣, 李崇光, 向玉林. 基于通径分析的能源消费影响因素研究[J]. 干旱区资源与环境, 2012, 26(10): 174-179. 郭文, 孙涛. 城镇化对中国区域能源消费及居民生活能源消费的影响[J]. 中国环境科学, 2015, 35(10): 3166-3176. Rao, C.R. (1973) Linear Statistical In-ference and Its Applications. John Wiley & Sons Inc., New York, 210. 杜家菊, 陈志伟. 使用SPSS线性回归实现通径分析的方法[J]. 生物学通报, 2010, 45(2): 4-6.